I have been busy sewing up gifts. It seems like I’m seeing everyone early this year, so my deadlines are moving up fast! Is it just me, or is everyone leaving town for the holidays? 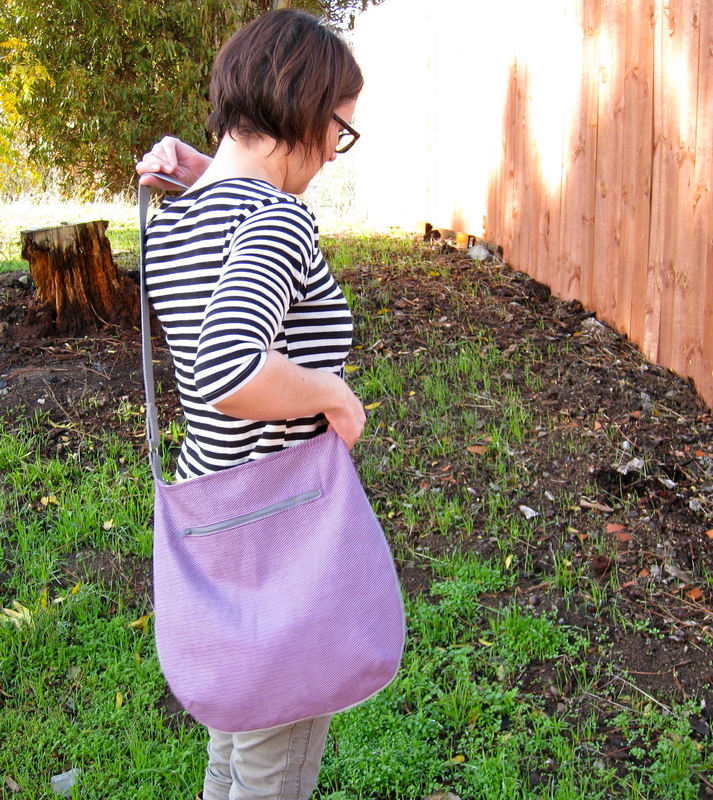 Noodlehead has another free pattern, the Trail Tote, and I love both of the sizes and all of the details! How can you not fall in love with these bags after seeing them? I’m making the large bags for a few family and friends, and I think I’ll make a small bag for myself after the holidays. 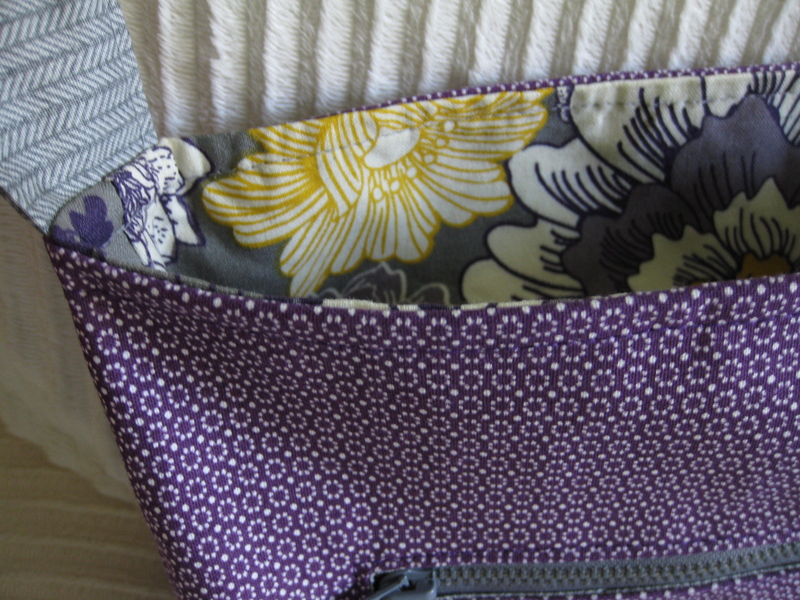 My Aunt’s favorite color is purple, and I found some really cute purple fabric with a cute pattern at my local fabric shop. I ordered most of my supplies online, like the cording for the piping, and I found my hardware at Discount Fabrics on Howard in the city. Side story, I’ve read some awful reviews of Discount Fabrics on yelp.com, but I must say I’ve had nothing but great experiences there. Everyone is nice and helpful, even if they sometimes look a little bored. I’ve never been ripped off, and they’re up front when you ask about how much something costs (most fabric bolts are labelled, but some tags do fall off). 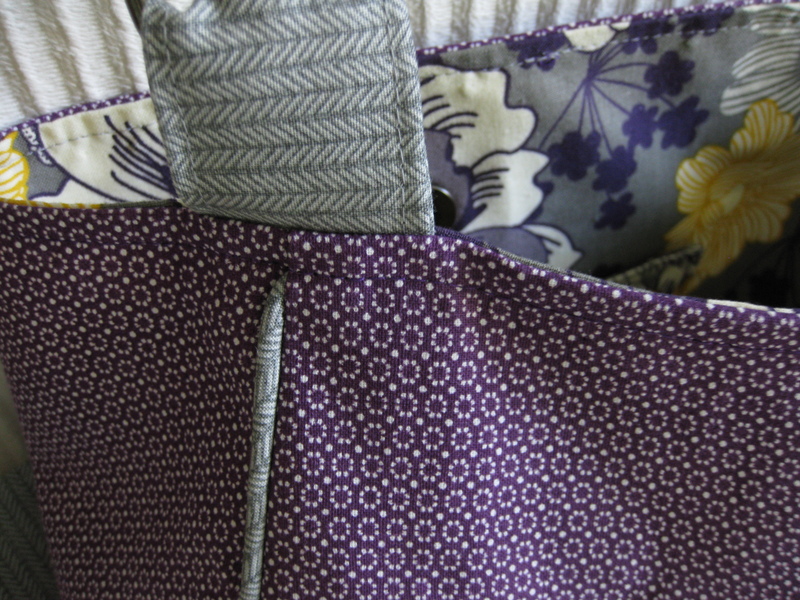 Just my experience… Back to the bag, so I coordinated the fabric with grays and yellows. I really like the piping detail. I used a zipper foot to make it and install it. I don’t have a piping foot, it seems so extravagant! I don’t have a lot of pictures because I had to hurry and give it to my Aunt the same day I finished it. 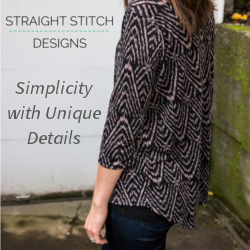 It’s very simple to sew, and fun to make. It is a little time consuming with all of the interfacing, piping, and strap preparation, but this is probably because I was cutting and preparing enough for 4 bags. I’ll post pics (hopefully better ones) when those are done. Previous PostPrevious The Snappy Manicure Wallet – Great Tween Gift!